A man was recently injured in a West Bridgewater grocery store parking lot after an elderly woman backed her car into him. According to local police, who declined to name either party to the accident, the injured man was pushing a grocery cart as he exited a Trucchi's Supermarket when a white Toyota passenger vehicle hit him. Immediately after striking the man, the Toyota then purportedly ran into another vehicle parked in the grocery store's lot. A witness, Trucchi's employee David Borges, stated he unsuccessfully attempted to warn the injured man immediately before the daytime crash. After he was struck, the man remained conscious and attempted to get up. Borges said he stayed with the man and kept him on the ground until emergency crews arrived. The man was taken to a local hospital by ambulance with injuries that were not considered to be life threatening. Although police are still investigating the accident, no charges are expected to be filed against the driver of the Toyota. Most of the personal injury lawsuits filed each year in the United States result from some sort of automobile collision. Although the injuries that may result from a car crash can be very minor, they can also be severely disabling. Luckily, in this instance no one was seriously injured or killed. Those hurt in an automobile collision may be entitled to receive compensation for medical expenses, pain, disability, suffering, loss of income, and loss of enjoyment of life. In cases of a tragic wrongful death, a jury will award damages to surviving loved ones based on the deceased's conscious pain and suffering and any pecuniary injuries. Damages in a wrongful death case may also include compensation for loss of services, loss of inheritance, and funeral costs. Some common causes for Massachusetts car accidents include impaired drivers, inattentive drivers, poor driver health, dangerous road conditions, and vehicle defects. If you were hurt in a car crash, you may also be entitled to Personal Injury Protection benefits regardless of who was at fault. Recovering from an automobile accident can be extremely stressful. If you were injured due to a motor vehicle operator's negligence, a qualified car accident lawyer can help you assess your personal injury claim. If you or a loved one was hurt by an inattentive or impaired driver, contact the Law Offices of Sousa & Sousa, P.C. Our Brockton car accident lawyers will explain your rights after an automobile-related injury and help you navigate the legal process. 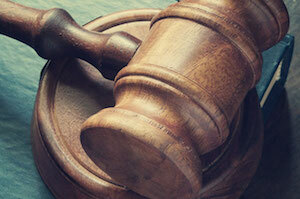 At Sousa & Sousa, our attorneys focus on personal injury law. We have more than 50 years of combined experience assisting our clients achieve fair compensation for their injuries. Our law firm represents clients in Easton, Brockton, Bridgewater, Stoughton, Taunton, and surrounding towns. For a free initial consultation with an experienced and hardworking auto accident lawyer, call Sousa & Sousa's Brockton office at (508) 230-5300 or our Taunton office at (508) 823-6111 today. You may also contact the firm through our website.